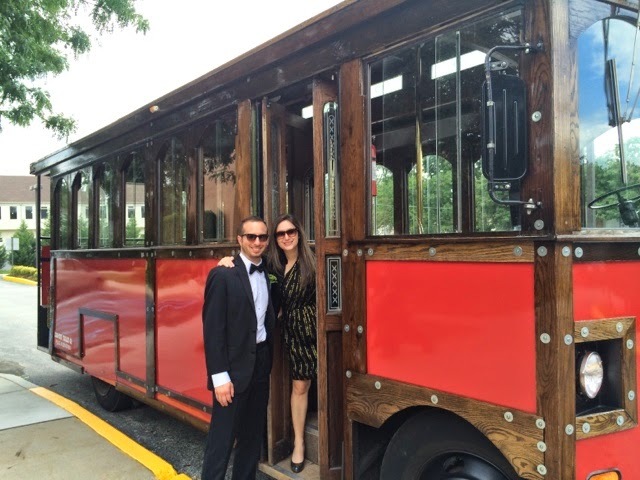 This past weekend Adam was a Groomsman and instead of a limo the wedding party drove around in a trolley! So cute. Here's a cute pic of us on the trolley. Also, was Adam's first time in a tux, he looks so nice! 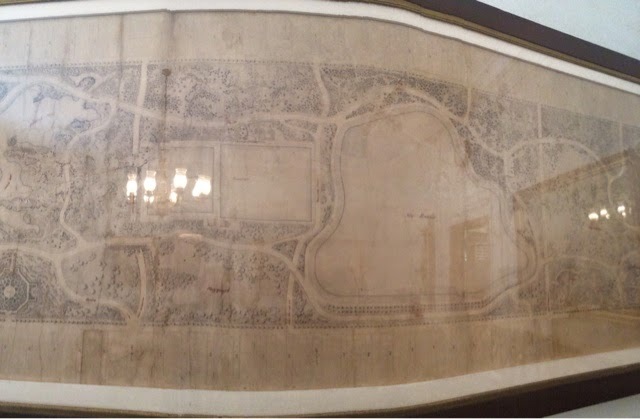 I was at a meeting at a NYC Parks admin building in Central Park this week and this cool map of the park before it had all the stuff it has today was hanging on the wall so I took a picture. Yesterday, I was walking from a meeting, down 42nd Street back to my office when on the corner of 6th Ave, Sabra was handing out free samples of it's Salsa and little packs of Tostitos, my lucky day! A perfect afternoon snack before my softball game. So I'm munching and walking another block when I come upon a line. 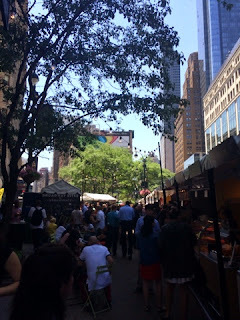 If you don't live in NY, you should know, usually when you see a line, something good is at the end of it sometimes it's a concert or waiting for a celeb after a show appearance, and more often its something free; food or giveaways. 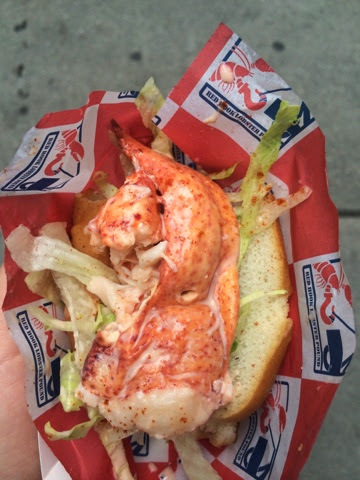 I asked what was being given out, and found out the Red Hook Lobster Pound was giving out free lobster rolls in promotion of Bon Appetit's Grub Crawl, happening this Saturday (6/21) in NYC. 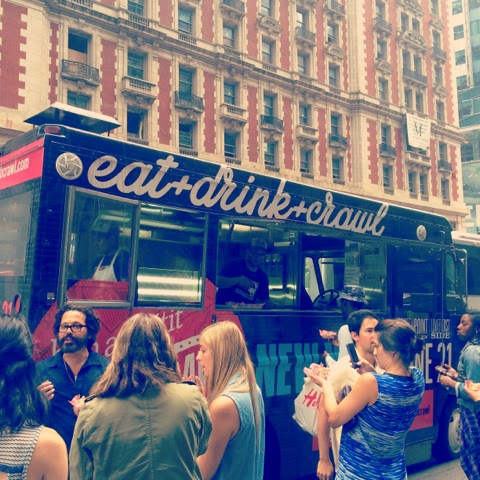 Who knew a walk down 42nd Street could provide so much free food! Here's the truck giving out the food and the roll. That's all for today, have a Shariously great weekend! And don't forget to share you pictures with me on instagram @shariously.